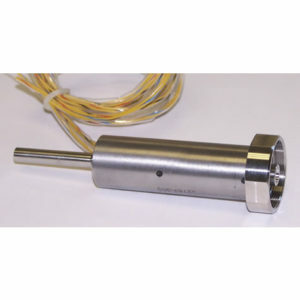 Cryogenic, Solenoid Valve - ValveTech Inc.
Part number 12142-3 is a 2-way, normally closed solenoid valve developed for use with liquid hydrogen. All wetted surfaces are inconel. The seat is Vespel SP-21. The static seals are ValveTech designed cryogenic seals that are reusable and provide external leakages of less than 1 x 10-5 sccs helium under all pressure conditions. The valve is pressure balanced and uses an inconel bellows for dynamic sealing and pressure balancing. 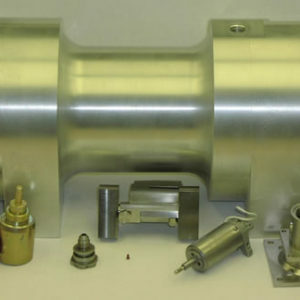 Inlet and outlet parts are per MS33649-06. Part number 12142-5 is a 2-way, normally closed solenoid valve designed for a dual mode, “green” rocket engine. 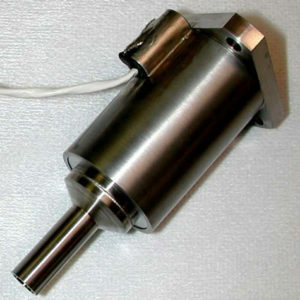 The valve is designed to flow ethanol and cryogenic oxygen. All wetted surfaces are inconel. The seat is Teflon. The static seals are ValveTech designed cryogenic seals that are reusable and provide external leakages of less than 1 x 10-5 sccs helium under all pressure conditions. 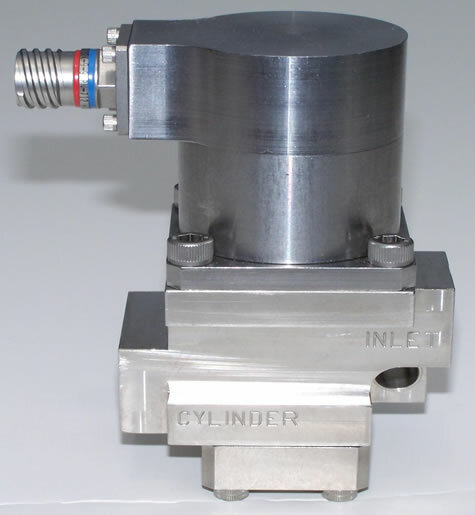 The valve is pressure balanced and uses an inconel, edge-welded bellows for dynamic sealing and pressure balancing. Inlet and outlet ports are per AS33649-10.